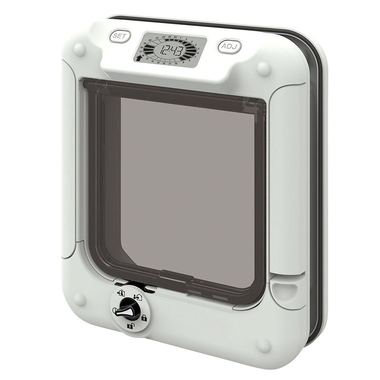 The Cat Mate Timer Control Cat Flap is an easy to program rotary 5 way locking pet door that lets you control your cat’s movement at specific times. 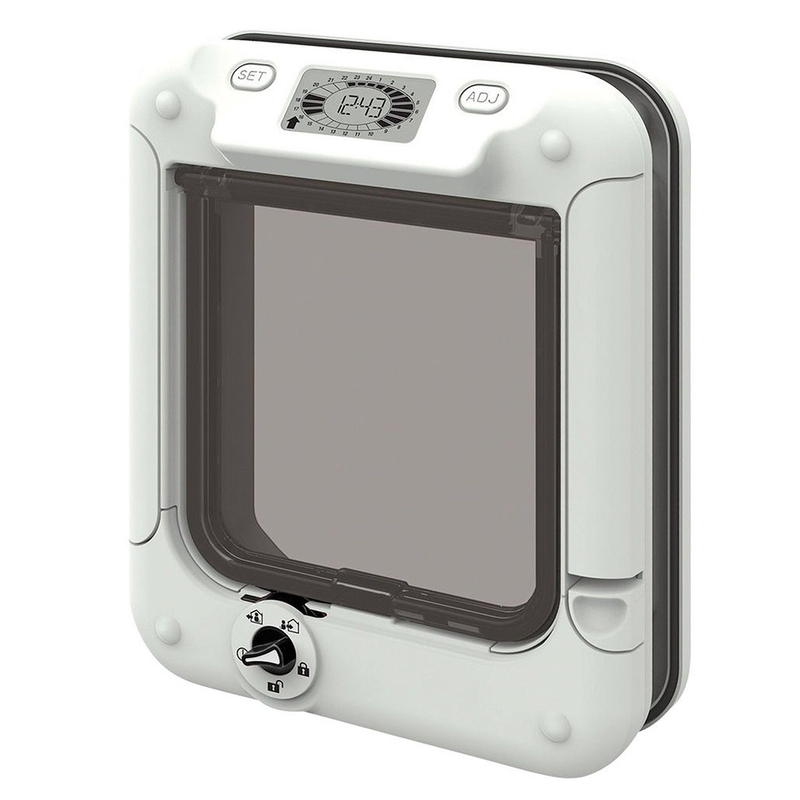 Designed to reduce accidents and undesirable hunting activities, the Cat Mate Timer Control Cat Flap features an easy to use LCD time controller which allows you to choose periods where you do not wish your cat(s) to get out through the flap, e.g rush hour, night time etc. The flap itself is 144mm (W) x 150mm (H) and is made from super tough transparent polymer which is preferred by most cats (so they can see whats on the other side of the door). The brush sealed flap with magnetic closure ensures a quiet, draftproof and weatherproof seal. 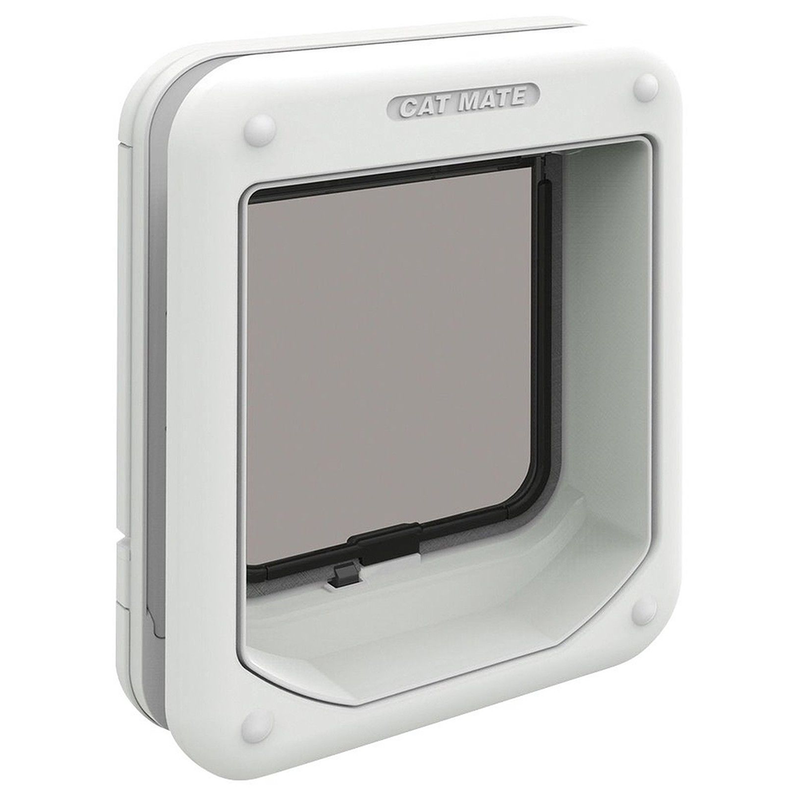 The Cat Mate Timer Control Cat Flap is self lining to 50mm thick which makes it ideal for fitting to all doors, and can also easily be fitted to walls or glass panels with the (sold separately). For Wall thicknesses over 50mm, a Cat Mate Elite Wall Liner will be required (sold separately).